This entry was posted on Saturday, October 8th, 2011 at 11:45 and is filed under Call To Action, Culture, Election 2012, GOP Candidates, News, Politics, Sarah Palin, Tea Party, War. I’ve spent some time thinking about Governor Palin’s decision against running for the presidency in 2012. Many people are wrestling with it still, particularly those people who have poured so much of their efforts into making it a reality. Even now, over on FaceBook, there’s a group devoted to urging her to reconsider. They’re calling their group Sarah Palin’s Earthquake, and they have chosen that name because of a remark Sarah Palin made in a recent interview in which she said it would take an earthquake to cause her to reconsider. They want to become that earthquake, and in just more than a day, they have added thousands of members. I suppose one never knows what might happen, and these intrepid Palinistas are intent upon at least letting their reluctant champion know that they still want her to lead them. Well, that first bit might not have turned out to be one-hundred percent of the truth, but it’s certainly bound to be in the ninetieth percentile. A few are hurt to the extent of blaming her, but it wasn’t Sarah Palin who left us without options. It isn’t her fault that the country is in decline. It isn’t her fault that we let the statists cheat us and lie to us and steal from us our values as a culture and as a people. That the GOP establishment seems to have managed to pull off another end-run around us is not Sarah Palin’s fault, but ours. We could have done things differently, and the truth is that if we are now without plausible presidential alternatives to Sarah Palin, it is we who have left ourselves in that position. Back when I was describing the choice, I was describing it as much for me as for her or for others who might see and consider it. I haven’t ever wanted to deceive myself or others, and while I knew at the time there were a thousand good reasons for Sarah Palin to enter the race, I also knew that they were not necessarily of a value equal to some reasons leveraging against her entry. I don’t expect anybody to live for my sake, or the sake of my needs, wants, or wishes; neither in my thinking then, nor in my feelings now. Sarah Palin doesn’t owe us anything: Not a presidential campaign, not a campaign for other candidates, nor even an explanation that will satisfy one and all. It’s her choice and her life, and she must consider these things for her sake and the sake of her most precious values. She has chosen, and whether I agree with her choice, or the voices of millions disagree, it is her choice and her destiny to do as she feels necessary. I respect that choice, knowing that as it is her right to choose, my wishes to the contrary have no ability to invalidate her choice. If she does reconsider, I will respect that choice too, and I will continue to support her in that endeavor. My pledge was sincere. I meant it, and I still do. If she chooses against running, instead to rally the troops on behalf of a cause in which we all agree, I will be there. It’s as simple as that. From the moment she first walked out onto the national stage, and brought the energy of her message of freedom to the crowd, I have been there. To whatever degree she continues to do so, I will still be here in firm support, but I will always respect her choice to determine her course for her own sake and the sake of all she loves. That’s a big part of what has made the freedoms of our country unique, and it is this that I cherish above all: This is still the land of self-determination, and while government’s shackles tighten around us like a noose, I am happy to see even one among us escape unshackled on her own terms. As some have noted, particularly Tammy Bruce, we have a choice, and it comes down to this: We may be staring down the barrel of a loaded gun with the less-than-satisfactory GOP nomination choices for president remaining from among which to choose. There are still other things we can do, including joining with the Tea Party, those of us who haven’t already, and begin the process of taking over the Senate and strengthening in the House so that no matter which candidate of either party ultimately occupies the White House, we can still control the legislative agenda, and thereby limit the power of a president we may not fully support, or support at all. That idea isn’t without flaws, and it certainly isn’t a perfect solution to the problems now confronting us, but it surely offers us more hope than to surrender in sadness or to campaign against the seemingly inevitable. Nothing is written in stone about the outcome of this battle, and this remains the country of self-determination, at least for now. However we choose to carry out that fight, each and every one of us, let us do it in our own ways as best we can, while we still can. Hope springs eternal because we still love our country and it’s still worth the fight, whomever we elect, irrespective of who may choose to run for high office. If we are to save this country, we must begin now. My hope is that it’s not too late. Thank you Mark…..my fear now – where are the odds the longest – to get Sarah to reconsider….and decide to seek the gop nomination…..or to ensure that our elected officials (without Sarah leading them) really tackle all the necessary steps needed to save our country and revitalize it as we once had. So – like you – I will work in both directions, though I know am even more firmly of the belief that we do not have a decent 2nd choice to Sarah – and, on the minuscule chance that Sarah (and her family) can be persuaded, I will put my strongest efforts there right now, as well as my prayers. You do a great job Mark – thanks again. It sounds like a crazy longshot. But all great things sounded crazy at first. Its worth a try, and if nothing else it helps put a Band-Aid over the wounds left by those who sought her destruction. I will always be a Palinista. RUN SARAH RUN!!!!!! 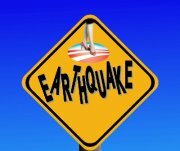 JOIN THE EARTHQUAKE!!!!!! RE-CONSIDER ???? Give us a number-we can make it happen. I'm upset but nothing like my wife and 2 daughters. Since thursday my family had decided in taking a poll from a republican list that we optained from the McCain/Palin campaigne headquarters that all 4 of us work in 2008. We called 200 people each, that was 800 total. Here are that results: 717 were going to vote for Sarah, 44 wanted to see her perform in a debate before there choice and 39 were to upset that she said NO to running. We talked to 800 people FACT. Everyone seems to be receptive to a political poll call. ( Alot thought that we were RASMUSSEN ) Is this family taking this lying down "HELL NO" Sarah wants an "EARTHQUAKE" then as my wife and daughters say " LET'S GIVE HER ONE " Monday were are sending her a RE-CONSIDER letter TO HER HOME in Wasilla-Fed-Ex next day air. Think there might be one way to nominate her for presidency(as an addition to the Sarah Palin's Earthquake)..If the nomination for the President becomes deadlocked and the Tea Party then nominated Sarah Palin for the Presidency, there might still be a chance for Sarah to become the nominee for the President. However, there should be a petition that has to be started by we the people with maybe a million signatures as a goal and given to Sarah before the Republican Convention on Aug. 27, 2012 so that she would know that a majority of us wants her to be President. Or we could respect her decision and concentrate on the House and the Senate for a veto-proof majority Tea Party members. Then if Obama still wins the Election, he would be forced to work with the Tea Party or he could be overridden by the House and the Senate. If the Republican Nominee wins the Election, he/she would still be forced to work with the Tea Party or be overriden, too..
what if she doesnt what the job? What if she can be taken at her word, and she feels compelled to work from the side lines? I dont get the infatuation. Believe it or not, others will be able to lead. Will they be the same? Maybe- maybe not- but Sarah Palin said she doesnt want to run. an earnestly written heartfelt post Mark. Thanks. Gov. Palin will always have my respect and support. Like you, I watched her enter the national arena in '08 … and I found myself literally knocked off my feet. I'd never seen someone like this before. An honest, plainspoken, determined politician. Who not only knew what she believed, but was able to communicate it. We hadn't seen that in a generation. She had me at "Hello". Many will find themselves unable to support a nominee from this field. There are an unlikely few that could fill part of the void. While she is correct in assessing that many more seeds remain to be planted at local and state levels .. a critical mass is already beginning to form. And it does need a leader. Sarah alone is allowed to determine her destiny. I am troubled by the Shakespearian line, "There comes a time in the affairs of men…" I have felt for a long time — since 2008 — that Sarah Palin is a very rare talent. Quite honestly, I feel that she would be even more consequential that RWR. And, in fact, she's in a position to learn from his experience, e.g., eliminate departments; don't try to prune them. With Fast & Furious still expanding, B. Hussein Obama's presidency is weak and getting weaker. In other words, I think the stars are in perfect alignment for Sarah's presidential run now. It would be a major tragedy for our nation if we lose the services of the truly exceptional person that Sarah Palin is. Yet since then, conservatives have let the media pick which one should not be our candidate. Coincidentally, the same one that repeatedly stood up to the them, and won. I wonder what conservatives will be saying in 2013? I was upset and basically lost on who to support after Sarah declined to run. I still am lost as to who to support but have joined the earthquake movement websiteand can only hope and pray Sarah reconsiders. What's Happening to Fox News?